Vehicle air conditioning is now a very specialist field. Various rules and regulations have now been imposed for correct handling of R134a and R1234yf (the gas inside your aircon system system). 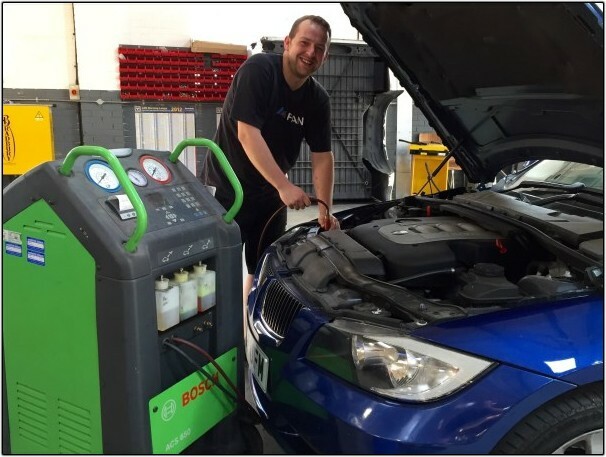 All of our aircon technicians are F-Gas trained and running the latest Bosch automatic AC equipment. We now support the latest R1234yf gassed vehicles. Where has the gas gone in the first place? Obviously there maybe a leak on the system, if there is a leak then obviously we will report and advise rather than letting your expensive gas off into the atmosphere. As time passes air con gas can disperse leading to an inefficient air con system. 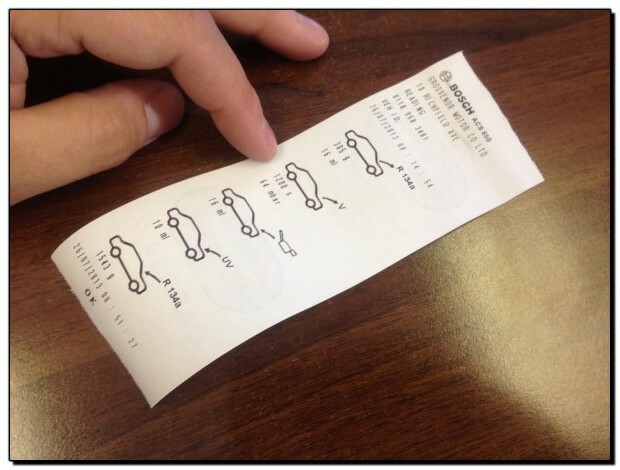 If the system is low on gas, how will you know how much to put it? Later BMW’s will not even attempt to turn the compressor over if the vehicle detects the wrong amount of gas in the system. If your air con system has stopped working then it is beneficial to deal with the issue ASAP. If for an example a seal has gone which has allowed the gas to expel or a stone has gone through your condenser, the internals of the AC system is open to the atmosphere. An open system can take on moisture which is detrimental to all of the AC components and will lead to further costly repairs. Full drain down of old air con gas. Full vacuum test of air con system to identify any possible leaks, this also aids removing any moisture in the system. If the vacuum test fails due to a leak in the system we then test the system for leaks with nitrogen free oxygen. If no leaks are identified, the air con system is then refilled with the correct amount of R134a refrigerant gas. New PAG oil is injected into the system. This step is often missed, however vital for long term maintenance. Air con UV dye is injected into system (this aids detection of future leaks). 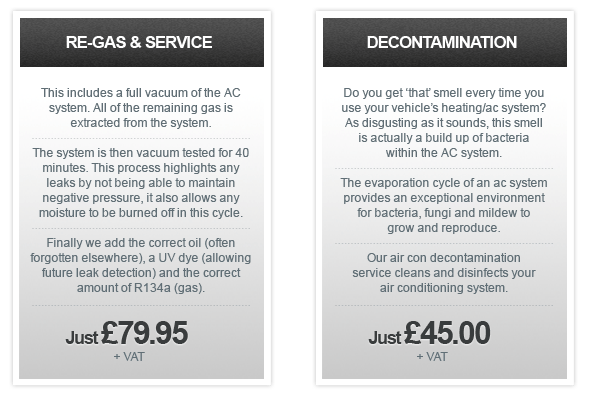 A full air con service report is printed for your service history stating R134a recovered from the system, status of vacuum test, quantity of PAG oil refilled, quantity of UV dye refilled and finally quantity of R134a refilled into the system. We recommend two levels of regular servicing for your AC system (every two years). Give one of our team a call on 0118 958 3481, they will be happy to book your vehicle in.